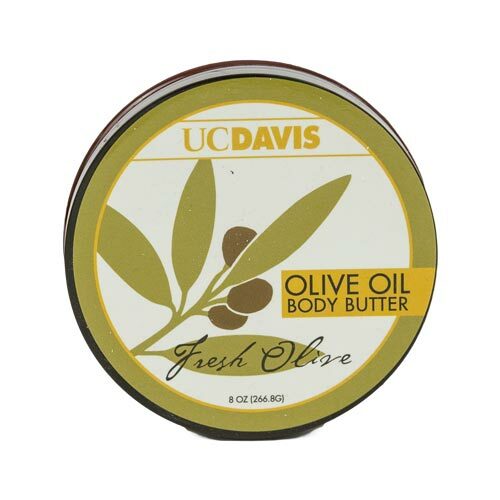 Ingredients: Agua, UC Davis Olea Europaea (Olive) Fruit Oil, Cetearyl Olivate, Sorbitan Olivate, Glycerin, Organic Theobroma Cacao (Cocoa) Seed Butter, Leuconostoc/Radish Root Ferment Filtrate, Fragrance, Organic Rosemary Extract, Vitamin E.
Sold in 8 ounce amounts. "I gave one tub of this body butter to my brother for his psoriasis and it did a better job at softening the scabs than anything he had tried in the past. At least that is what he said. "